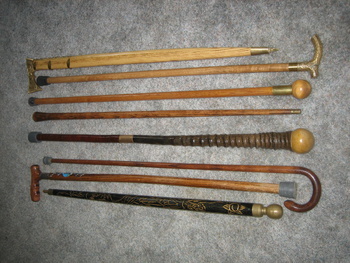 In Accessories > Canes and Walking Sticks > Show & Tell. 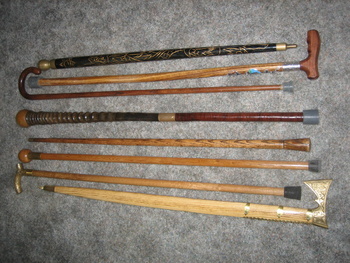 These are some canes that I've picked up at sales or had custom made for me. The one in the center was one of my grandfathers. It is made of Gemsbok horn under the ball handle and under the bronze collar are stacked leather washers. A friend of his had it made for him over in England. About 35yrs. ago. 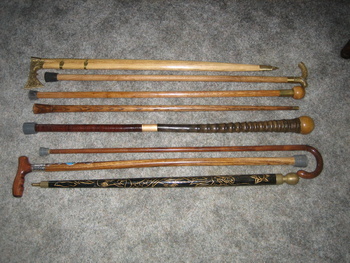 The black one at the bottom of the picture is a pool cue cane garage sale. Next one I had made for me is made of Zebra wood. The third I picked up on a trip to Berlin Ohio got it at a flea market. 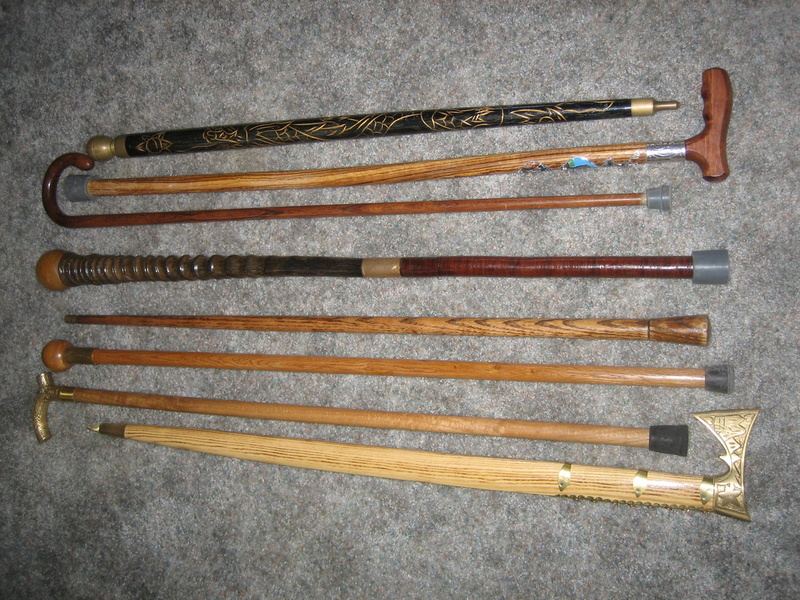 The one above the middle one was given to me after I hurt my back nice old oak cane. Above that is another yard sale find. the one above that an antique shop find. The top one is a gift from a friend after a trip to Austria. 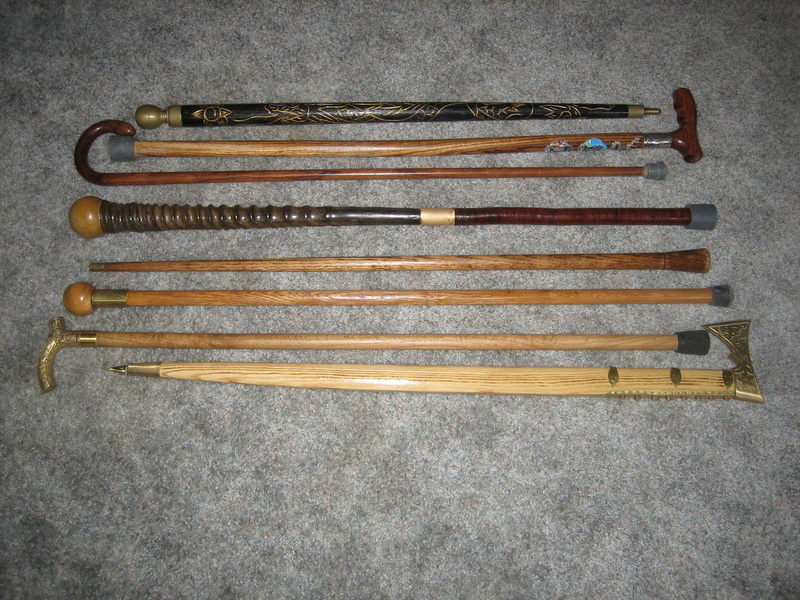 I have the cane that's on the top in the second picture. I'm sure you know that it is holds a pool stick inside or that you can convert it into a pool stick. I haven't seen mine in a while. 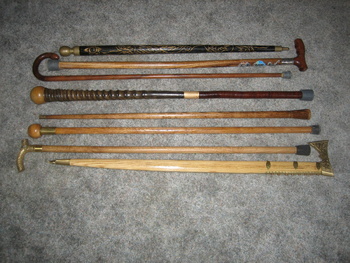 I hope I can find it, I would assume I put it in a box in my garage somewhere; anyway, nice collection overall. Oh sorry, you are aware of it, lol. Anyway, I got mine at an estate sale for like eight dollars. Yes I like to play pool now and then. I can't lean over well but I try. 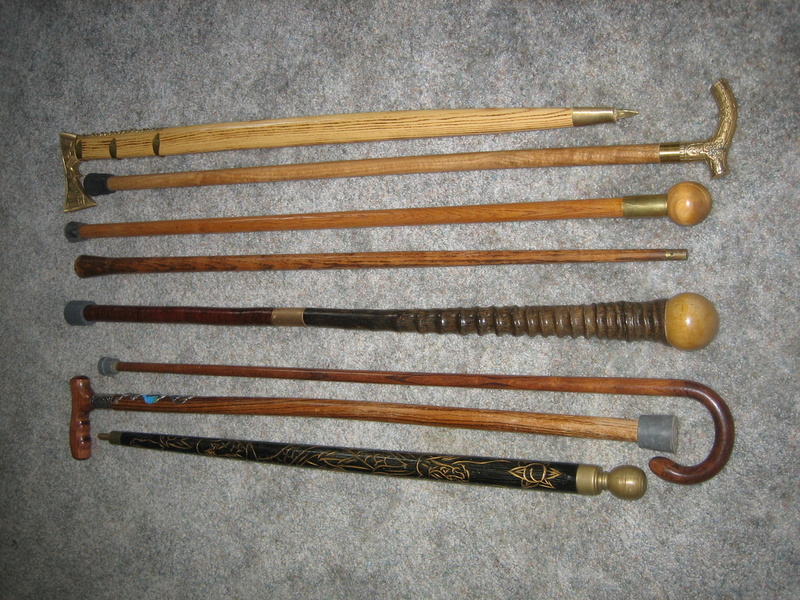 That cane of my grandfathers is HEAVY! It's more of a club. Hope your having a good morning james and all is well at home. 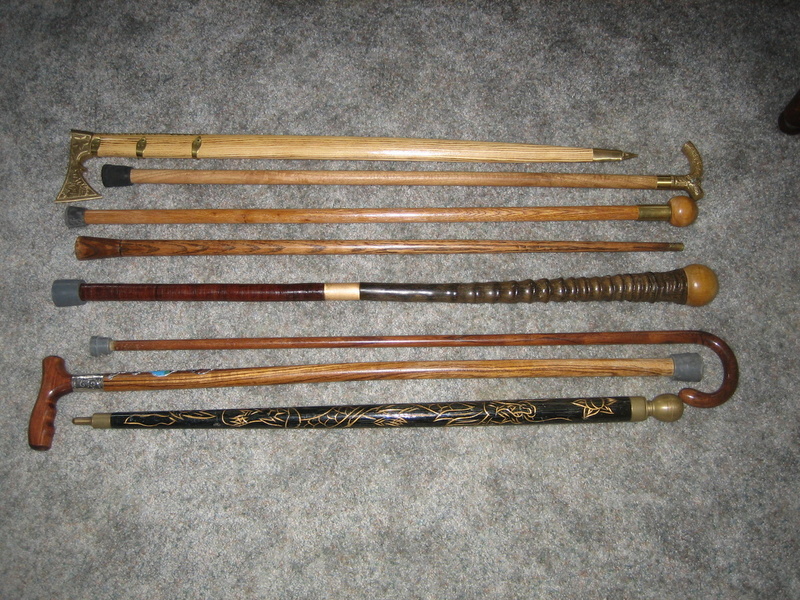 I Jumped On The Listing Again As I Forgot I've Already Marked Ats Love It I Have A Sililar Pool Cue Cane With Chinese Or Japanese Carvins All Over it. Great Collections You Have By The Way. Mine has a golden dragon and a lotus blossom carved into it. I have no idea where mine was made either. They did mark it anywhere and all labels are gone.